venetian blind on box window. Aluminium Venetian Blinds give privacy and light control at the turn of a wand. If you’re looking for a low profile, cost effective solution, our range of Aluminium Venetian Blinds in Melbourne are the perfect choice. They provide privacy and light control, and can reduce your energy bills by locking in the heat during the winter. Available in a range of different colours and designs, our Australian Made range of Aluminium Venetians can compliment any interior design. Sleek and stylish Venetian Blinds that are built to last. Fitting into a 30mm recess, with a short stack height when raised makes our range of Aluminium Venetians the lowest profile on the market. Made from durable aluminium, our Venetian slats come in a 25mm Slimline and 16mm Micro Venetian size, with a 50mm Wideline range also available. Our Venetian Blinds are available in over 35 colours and shades including soft neutrals, bright bolds, and wooden and metallic colours. Our blinds are built to last! Have peace of mind in knowing that should our aluminium venetian blinds falter under normal working conditions, we've got you covered. Proudly made locally to Australian standards. Our range are made right here in Melbourne using state of the art manufacturing technology. 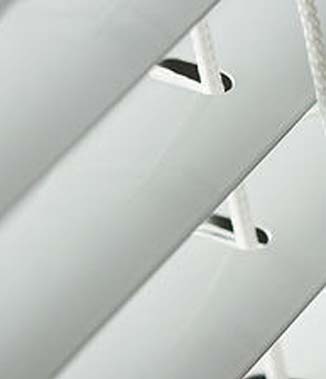 Our aluminium venetian blinds are made using a slightly thicker venetian coil stock. Measured in microns, this small difference helps reduce the incidence of slats being damaged. Over 40 Colours To Choose From. Our selection comes in a huge range of colours, special finishes and perforations to choose from. We have the range to suit all decors and tastes. Our aluminium venetian blinds are manufactured using a cold rolled steel headrails. This delivers a superior blind, that will not twist or buckle when used.